From early September to mid November 2018, I will stay in Taipei as a visiting scholar of Taiwan Chengchi University and teach a course “Media Ecology in Japan” for graduate school students. Thank you so much for my colleagues both in the college of international affair and the college of communication NCCU for giving me this opportunity. The Japan Foundation and the Japan-Taiwan Exchange Association have been kindly supporting me. I will enjoy teaching, talking, walking, eating, traveling, and bodily feeling the everyday life of Taiwan in this autumn. 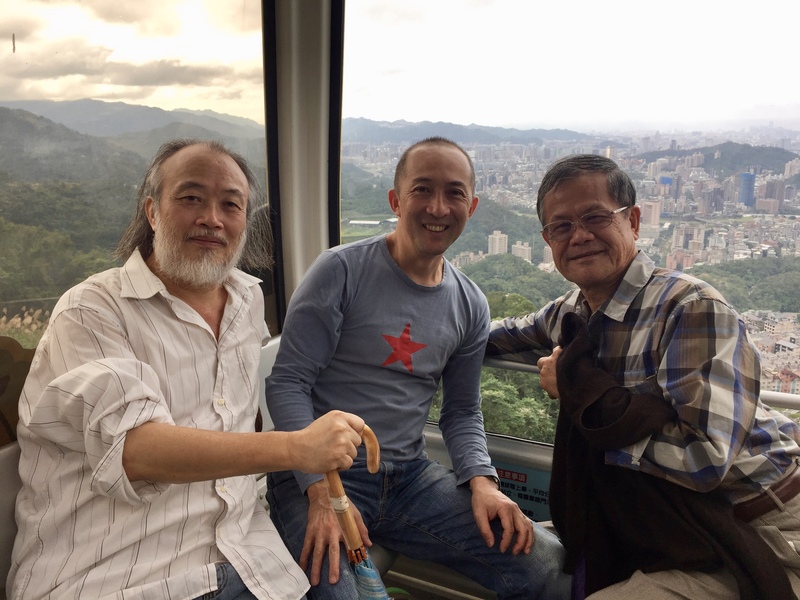 陳世敏老師, me, and 林元輝老師 (from the right) in a aerial ropeway at the 猫空 (Maokong). Dec. 2016.